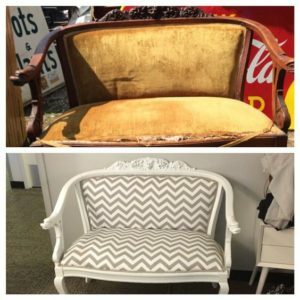 Refinishing old furniture can be a great way to furnish your home in a way that is beautiful and inexpensive. Transferring those skills into a money-making business is an entirely different animal. Learn about making your furniture flipping hobby into a successful business. Before you go about buying and selling, you have to know your numbers. This has a lot to do with the market of both supply and demand in your area, how deep is the supply? How much are people willing to pay? A good goal is to sell pieces for 2-3 times what they cost you (including supplies). That means, if you can’t sell a piece for over $100, you can’t pay more than $40-$50 maximum to begin with. Knowing your numbers, and having a “max pay price” keeps you from going crazy at garage sales. Shop carefully and look for quality, not quantity. Making over a cheap plastic chair might look nice, but it won’t bring home booming profits. 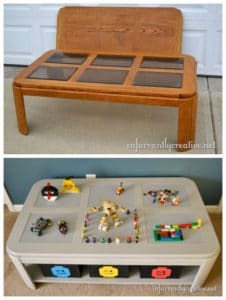 Look for older pieces of furniture that still have good bones and a solid structure. A few solid investments in good quality brushes and an automatic sander will pay dividends over and over. But use your supplies wisely, and always use what you have on hand first. Sometimes you might be able to use a plain flat white paint as a primer rather than buying brand new primer for each project. You can mix colors you already have on hand to make them go further. Keep white paint on hand to tint other colors you already have, and if you have to buy new supplies or a custom paint color, always factor that into the price you charge. When you have a beautiful new piece ready to sell, make the ads compelling, do more than snap an iPhone picture. Stage it right with props, pillows, or other thing that really show the character of the piece. If you’re not good with pictures, find a friend or family member who is and enlist their help. Describe the piece thoroughly, and make the ad compelling. Don’t focus so hard on making a buck that you lose the joy in the journey. Of course, if you can sell it for a profit, that is a win-win, but if you hate every step of the process, it will show in your work. 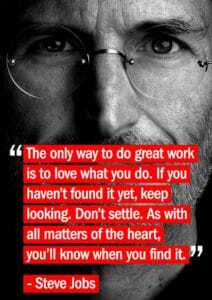 When you love the work, you can also make great profits it doesn’t feel like work at all.